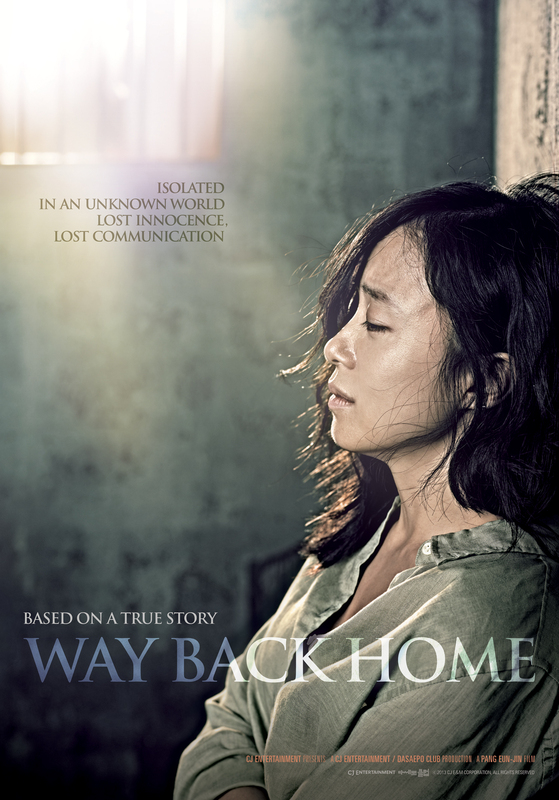 JEON Do-yeon graces the screen once again following a two year hiatus in PANG Eun-jin’s new drama Way Back Home, an emotional rendering of a true life story of one woman’s prolonged incarceration on foreign shores due to diplomatic negligence. Jeong-yeon and Jong-bae are a happily married couple with a young daughter who pour their savings into an auto repair shop only to have the rug pulled out from underneath them when a friend of Jong-bae’s commits suicide after he is unable to pay his loans. Since Jong-bae acted as his friend’s guarantor, the debt now falls onto them. With Jong-bae gradually growing despondent following their financial turmoil, Jeong-yeon makes the hard decision to do a job for a seedy acquaintance. Before she knows it she finds herself grabbed by the police at Orly Airport in France, with a bag filled with 30 kilograms worth of cocaine. Being thrown in a French jail is only the beginning of her troubles as legal wranglings and an indifferent Korean embassy in France soon see her shipped off to a penitentiary on the far-flung island of Martinique, a French territory in the Caribbean. Back in Korea, her husband does his best to get through to the diplomats and secure her passage home. As one of Korea’s most respected actresses, no less due to her Best Actress win at the Cannes Film Festival for LEE Chang-dong’s Secret Sunshine in 2007, JEON has set a high standard for herself. Over the years she has moved audiences with her work in films such as My Mother, the Mermaid (2004) and You Are My Sunshine (2005) and her return to screens following the thriller Countdown, co-starring JUNG Jae-young, features her in top form. Her co-star KO Soo (The Front Line, 2011) steps out of his standard hero mould to portray her devastated husband while BAE Sung-woo plays his oily bureaucrat to a tee. Director PANG, originally an actress who starred in a number of high profile 90s films such as IM Kwon-taek’s The Tae Baek Mountains (1994) and the late PARK Chul-soo’s 301/302 (1995) transitioned to behind the camera in 2005 with the thriller Princess Aurora, which she followed up with last year’s Perfect Number. Though barely a year has passed, PANG reaffirms her confident grasp of mise-en-scene with Way Back Home, a well-mounted production which, while rich in tone, never forgets its characters. Though not without its antagonists, the real drive of Way Back Home is the weight of injustice, and as Jeong-yeon is pushed further and further away from her home, first France and then Martinique (shot on location in the Dominican Republic), how one woman strengthens in the face of it.